So recently we deployed another robot that has 2 grippers on it and thought I would share how we go about setting up the TCP's for the grippers in case someone has not done that before. The robot in this case is using two Schunk PGN+ pneumatic grippers with 10 mm stroke per finger. The reason that we are deploying two hands is for a machine tending application so that we can take out the completed part and load a new part and get the machine back running as quickly as possible. To set-up the TCP offsets in the Installation we used the CAD model that we had created of the grippers and the adapter that was designed to hold them to get the X,Y and Z offsets for where we want the actual TCP to be. In this case the part we are handling has a round hole in it that has to align onto posts in the tooling on the various machines so we want that to be the actual TCP of each of the "hands". Here is the drawing showing what the x offset and z offset of the gripper will be set to in the Installation tab. 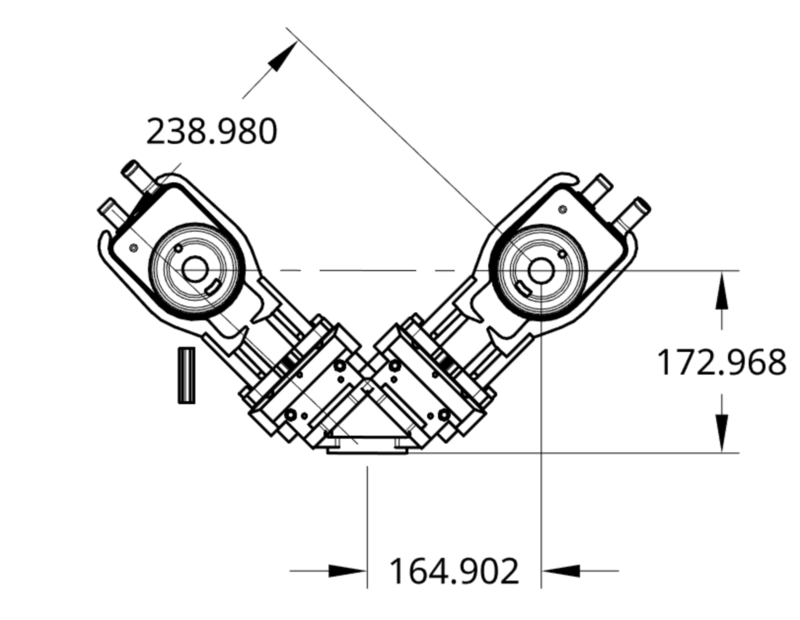 In this case the X offset will be 164.902 mm and the Z offset is 172.968 mm for one gripper and -164.902 mm in the X direction for the other gripper. 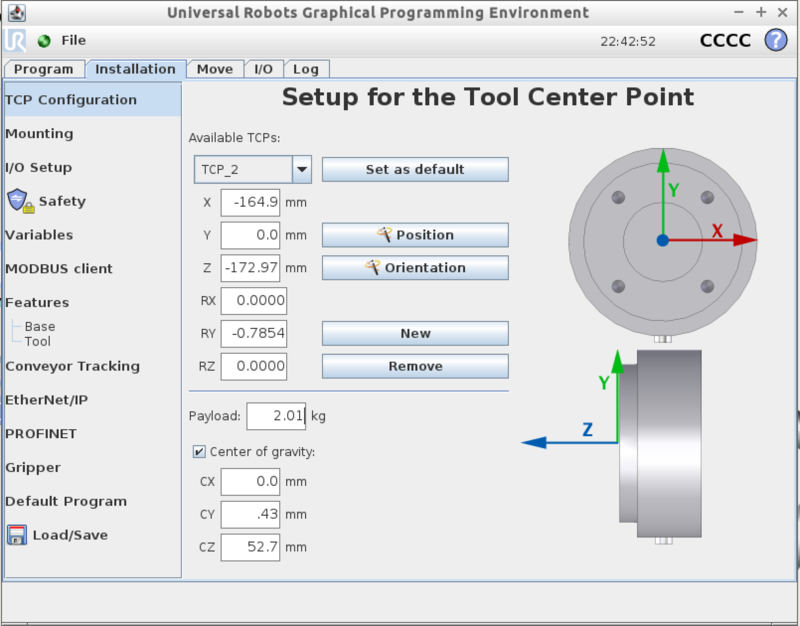 Then since we want the robot to move in the direction the gripper is pointing for each of the TCP's we will then rotate them in the Y direction 45 degrees or 0.7854 radians. 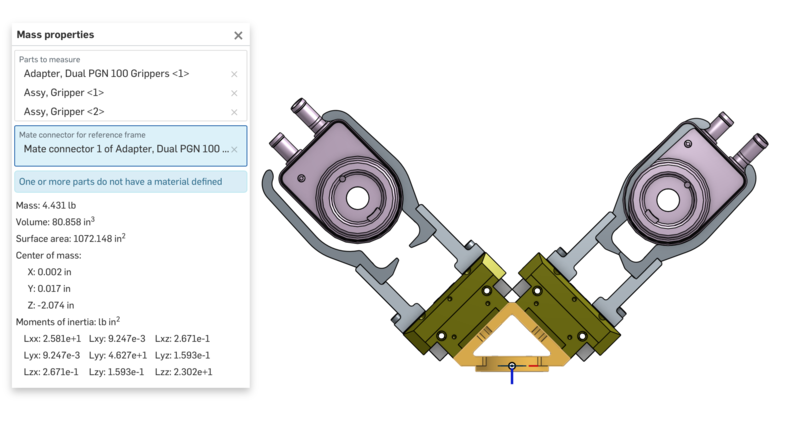 The "right" hand will rotate 0.7854 and the "left" hand will be rotated -0.7854 as in our case we have the Y axis of the tool flange pointed to the floor (wanted the I/O port to be pointed up which is Y-). 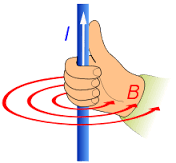 This can be determined using the right hand rule of torque, if you point your right thumb in the positive direction of the axis you are rotating around, your fingers will curl in the direction of rotation around that axis, so in this case my thumb would be pointing to the floor and my fingers would curl towards the right so the hand on the right of the axis would be a positive rotation and the hand on the left would be rotated in the negative direction. I then used my CAD model to also calculate for me the Center of Gravity for the assembly so that I could enter that as well. I have set up a few robots with two grippers and once you know what all the different settings do its not so intimidating. Now to take advantage of this in a programmatic way you need to make sure that all of your move commands are assigned to a TCP. In this case we actually used a 3rd TCP which was just the neutral position and set the z offset to be beyond the end of the gripper fingers, we did this so that we could clear around the equipment and as there are a number of light curtains that we need to avoid we can quickly add length to the TCP and move the hand back without the need to adjust points. Hope you find this helpful and if you have any questions please feel free to ask. Very helpful Matthew, thanks for the detailed guide!